I'm looking at this image and thinking of how I've let myself get caught in a string of projects, that have only to do with my workplace. But it ain't as bad as a moth getting caught in a spider's web, coz i actually love what i do. Which also means i'm disrupting everything else, including time with my lady. And that can't be good. I yearn to get back to randomly taking pictures of anything and everything, and posting stuff everyday. 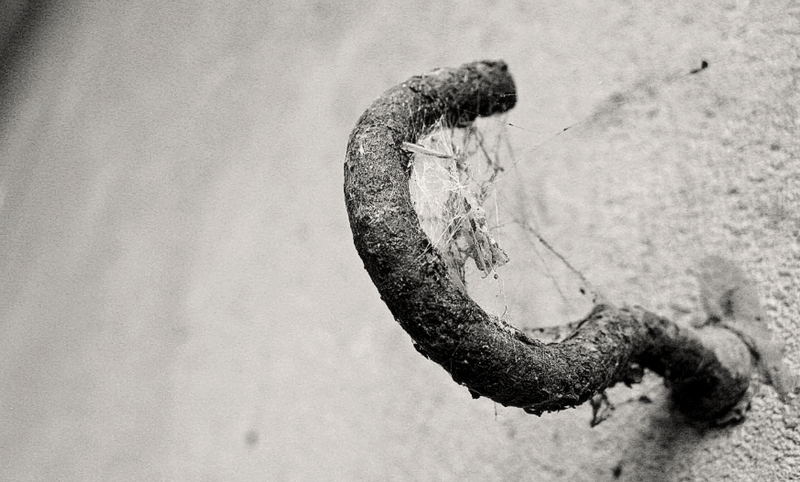 Saw the rusty old hook on the outside wall of our garage back in Evoor, Kerala. Speaking of which, i need a vacation.